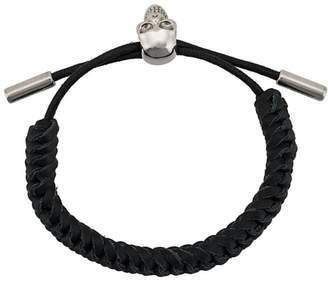 Update your accessories collection with this skull bracelet from Alexander McQueen. Crafted from black leather, this piece features a toggle fastening, a braided design and signature skull embellishments. Make it the finishing touch to your everyday looks.